Your Message needs to be shared through conversion-rich sales copy to convert your audience into clients. As an influencer, do you know what type of content do you need to create and share to drive sales to your business? If you're creating content without results, you're wasting time, money, and opportunities. Content Strategy Development will help connect your Message with your audience (Market) so you can focus on creating revenue-generating content. How are you growing your business through your website? How are you converting leads into actual clients? The art of lead generation is a skill that can separate wanna-be thought leaders into established voices. Our Keynote Content team provides strategic insight and implementation for lead generation to guide your prospects from first contact into client onboarding. Are you needing a new email campaign? Do you have a new website designed but no idea what to say on your site? Our Copywriting services include email marketing campaigns, web copywriting, sales copy for landing pages, and more. 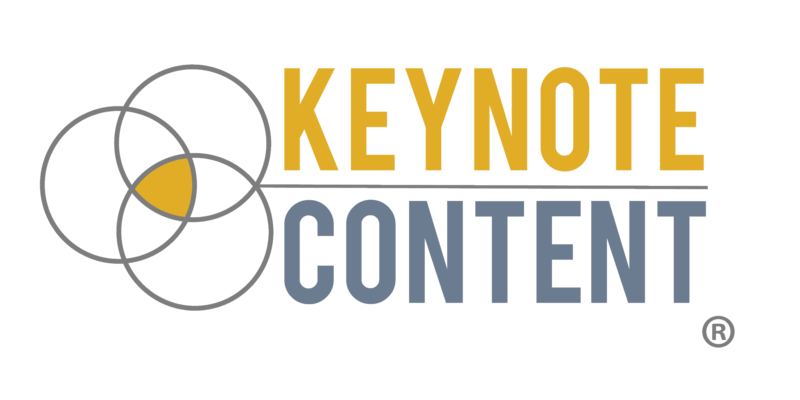 Keynote Content has created over 1.3 million words in the past five years helping businesses market their services. We know what type of copy converts.